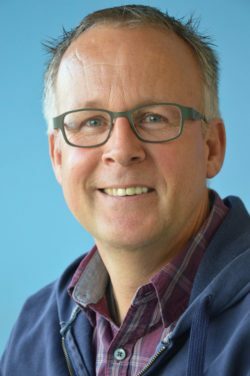 Dr. Gert Schaart started in the research group of Prof. Dr. Matthijs Hesselink and Prof. Dr. Patrick Schrauwen his job as technician at the Department of Human Movement Sciences of the University Maastricht, in December 1999. As cell biologist, he improves, develops and applies immunohistochemical staining techniques, set-up microscopy analyses, and introduces new blotting and detection systems. These techniques are especially improved and suitable for human and murine skeletal muscle tissue. Since 2012 Gert participates in culturing and analyzing human primary myocytes and human brown adipose tissue. He also coaches and supports PhD-students and technicians. Gert is (co)-author of more than 100 papers in international scientific journals as Cell, Nature Medicine, Diabetes, PNAS, Circulation Res., J. Appl. Physiology, PLOS. After two higher vocational laboratory studies (‘Histology and Microscopical Techniques’ and ‘Biochemistry’), Gert started as technician at the Department of Pathology, St. Radboud University Hospital of Nijmegen. 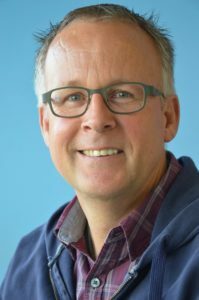 In the research group of Prof. Dr. Frans Ramaekers he developed monoclonal antibodies directed against intermediate filament proteins for research and diagnostic tools in cancer pathology. Gert started his PhD-study in 1989 and research was focussed on the expression and function of cytoskeleton proteins desmin, vimentin and titin, in collaboration with the Department of Biochemistry, Radboud University of Nijmegen (Prof. Dr. Hans Bloemendal) and the Department of Anatomy, University of Bonn (Prof. Dr. Christoph Viebahn). During his PhD-study he visited the University of Bonn for six months. In 1991 Gert moved to Maastricht in the south of the Netherlands. He continued his PhD-study at the Department of Molecular Cell Biology (Prof. Dr. Frans Ramaekers) of the Maastricht University and in January 1994 he received his PhD for his thesis entitled: “Expression and Organization of Sarcomeric Constituents During Muscle Cell Differentiation”. After finishing his thesis Dr. Schaart was appointed as a post-doc financed by the Dutch Heart Foundation to examine the molecular structure and function of cardiotin, a mitochondrion-related protein in cardiomyocytes. From June 1997 until December 1999 he worked as cell biologist for a biotechnology company MUbio-Research BV. This company, affiliated with the University Maastricht, develops reagents and bioassays for cell biology and biomedical research.